One of my last meals before leaving for Paris, and such a classic American dish. 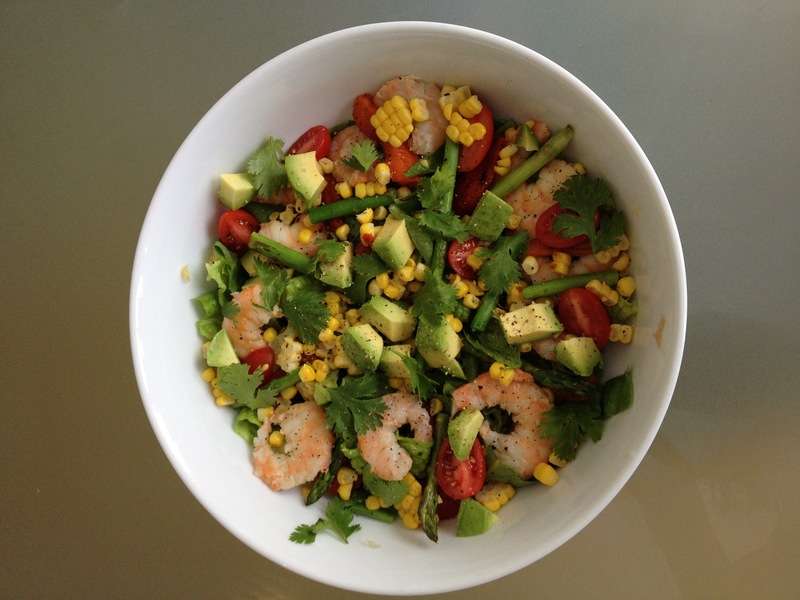 A grilled summer salad with avocado, shrimp, tomatoes, cilantro, roasted peppers, corn, and asparagus. I think of avocado in particular as an archetypal American food. Can you get good avocados in Paris? Published: August 9, 2013 Dimensions: 3264 × 2448 Posted in: Kitchen Gallery Post a comment or leave a trackback: Trackback URL.